Just thought I would share a few pictures of the beautiful floral arrangements (all fresh) from a wedding reception I went to last night. The groom's sister, Wendy Infanger (If you need her number for anything let me know. She does an amazing job for any occasion. ), did an amazing job decorating. It was an Indian/Asian theme, and I've never seen anything like it. I loved it. I'm bummed that I never got a picture of the giant gazebo/tent/stage where the bride and groom stood, but it was all done in the orange draping fabric you see with white lights lighting it up. The Bird of Paradise arrangements stood at each corner. Carter and Kayson enjoying the water element in the corner. There was a beautiful dark bamboo screen behind it amidst all the branches (from my dad's farm). This gives you an idea of the color scheme. The tables were dressed in shimmering fabric of these colors. I also loved those tall arrangements on the food table. These were the center pieces on each table. It really was gorgeous and my pictures just don't do it justice. Ooo I like that last photo. Very beautiful and the roses are perfect. Thanks for sharing. I have never seen that theme before for a wedding. I know, I lived a sheltered life. WOOO! That is neat! I, like julie lived a 'sheltered' life. I'm used to seeing the 'easter' colors, etc. :) But I really like it! Thanks for sharing! Hi Elena! Thanks for stopping by and letting me know you are an occasional lurker (i really dislike that word)...I was so surprised to open up the comments and see your monogram as I have seen you comment on Emily's blog and know you are friends with Jennifer P. That whole laundry thing was a hoot because not one person does it the same way. Just cracked me up. Now, I need to know something, that picture below, with the snow was that like yesterday??? Because I don't know if I want to tell you that it was 86 degrees here yesterday...i cannot even imagine snow when the calendar is about to turn to May!!! Thanks again for stopping by and I will be back! Julie & Deanna- I had never seen one like it before, but it truly was beautiful. Debbie- Welcome :-). And yes that snow was honestly from this past Thurs. Don't worry it didn't stay and today is a beautiful 65 degrees. Ohhhhh, now this is just up my ally. I love plants and flowers. I'm glad you shared. 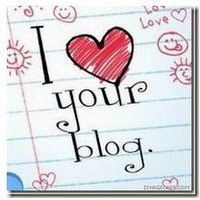 I can't believe how little I've been blogging, and how you posted this forever ago, and I'm just now catching up!! Man, what am I going to do? I need to schedule in blogging time as well I think!!! I'm on my break, 1-2! I hope I at least get to look around at everyone's stuff! Oooh! So PRETTY!! I love the bright colors.